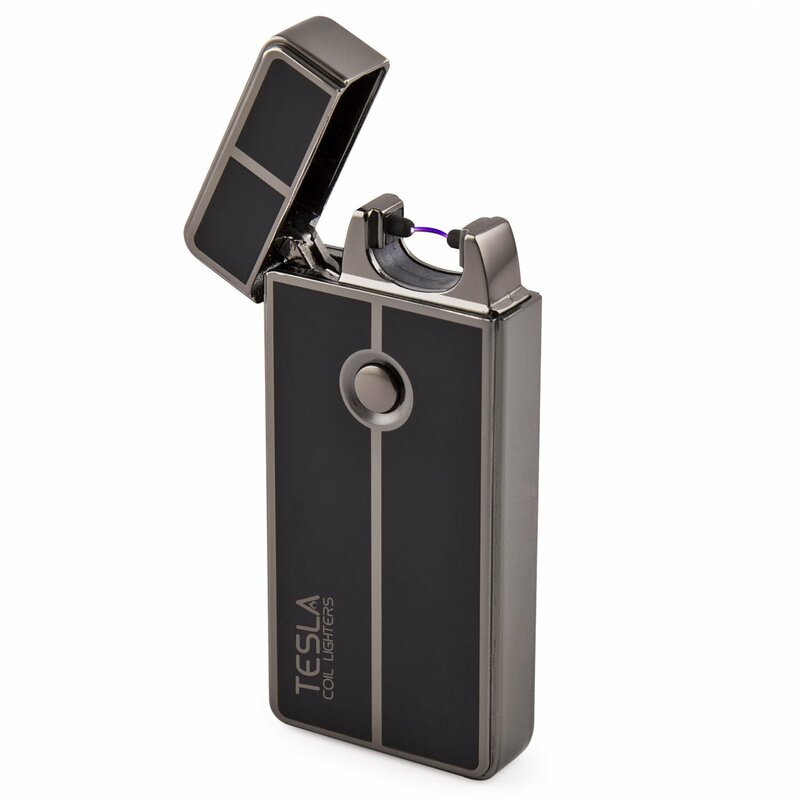 Color: Gun Metal Take charge with the Tesla Coil Lighters, a rechargeable electric lighter thatrequires no flame, no butane, no hassle! This innovative lighter works bycreating an electric arc with one press of a button. Simply charge up via USBand you're ready to go -- Anytime, anywhere. Since the lighter uses no flame,it is not only windproof, but also economical and environmentally friendly. Nomore lighter fluid refills or throwing out those cheap plastic lighters! Thelighter also has a safety feature, so it will not light up when the lid isclosed. Here at Tesla Coil Lighters, we believe in forging the way withinventive new products designed for the modern world. The Tesla Coil Lighteris simple, safe, reliable, and with its sleek and elegant design, it makes agreat gift for yourself or your friends.